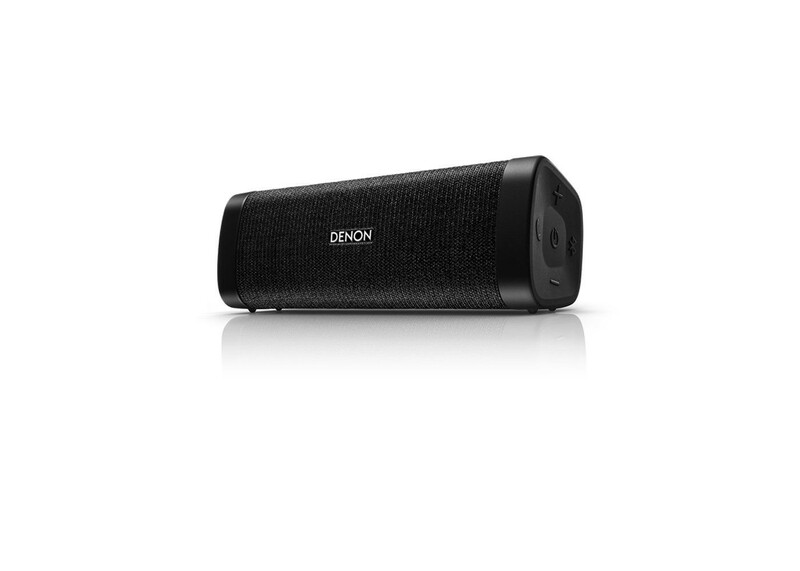 You will receive: 1 Denon Envaya DSB-250BT-BK Black Bluetooth Speaker. Extraordinary sound quality is further improved due to the inclusion of advanced audio processing technology, bigger size drivers and more powerful amplifier modules. The sound produced is above and beyond anything that conventional compact speaker systems deliver, thanks to 'oversized' proprietary drivers paired with a large passive bass radiator that fit neatly into this speaker's compact design. Performance is finely tuned with a range of advanced, on board, patented signal-processing technologies that 'intelligently' provide the best possible sound performance from any connected source. The audio tuning is done by our audio experts taking care of the Denon sound philosophy. The Envaya features the high quality Bluetooth aptX Low Latency standard offering CD-like audio streaming over Bluetooth, minimizing latency and ‘lipsync’ issues when supported by the streaming device.